Ben Nevis is a mountain in Tasmania, Australia, north of the higher and larger Ben Lomond. 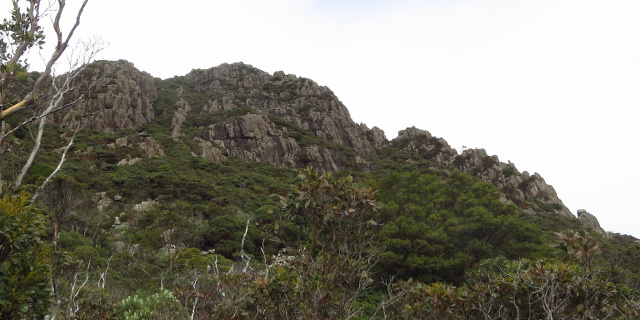 A rough walking track leads up the mountain. The Ben Nevis in Tasmania should not be confused with the other mountains named Ben Nevis in Victoria, New Zealand and the United States. All are named after the Ben Nevis in Scotland, the highest mountain in the British Isles. 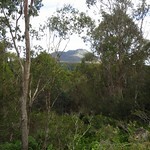 The Tasmanian Ben Nevis, at 1,368 metres above sea level, is slightly higher than its Scottish namesake (1,344 metres), but shorter than its New Zealand sibling (1,619 metres). Ben Nevis was not easy to drive to, despite being only 42 kilometres east of Launceston. 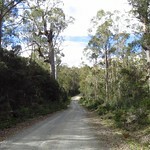 The walking track began off Telopea Road, which ran north-south. 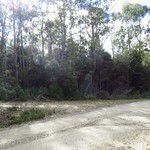 From the south, Telopea Road turned off Upper Blessington Road. To the north, it led to Ben Ridge Road and Diddleum Road. 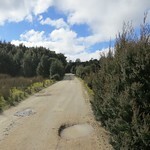 All of these roads were unsealed, although still wide and solid enough for two-wheel-drive vehicles. Both routes were about 1.5 hours from Launceston, and correspondingly longer from anywhere farther south or west. 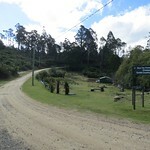 The walk described here started from Telopea Road. 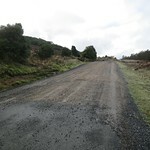 The first kilometre of the track was along Schulhofs Road, which four-wheel-drive vehicles could travel with care. 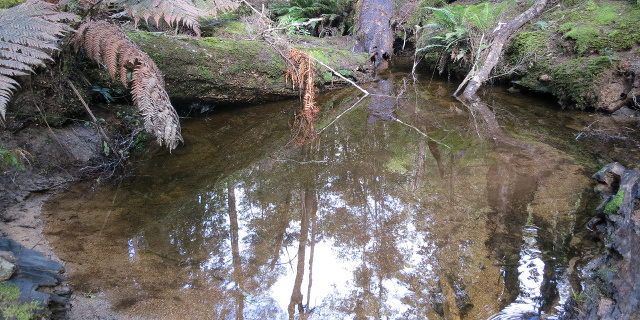 Blue Tier in north-east Tasmania was once the scene of extensive tin mining. In 1958 it was made a forest reserve, and in 1997 the reserve was extended. 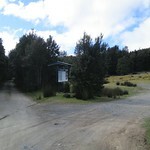 It contains a number of walking tracks. One of those tracks, the Wellington Creek Circuit, is described here. Blue Tier was not easy to drive to. 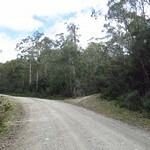 The Tasman Highway was an obvious starting point, and the only route to the tier itself was Poimena Road. To get from the former to the latter, three routes were available, all unsealed. The best of these was the east end of Lottah Road. Anchor Road was steeper and windier, and the west end of Lottah Road was severely eroded. It was still possible to take a two-wheel-drive car along the west end of Lottah Road, but not recommended. 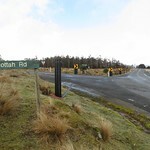 It is the shortest route from Hobart or Launceston to Blue Tier, but driving to the east end on Lottah Road may be faster and was definitely safer. All roads had also been blocked by fallen trees during severe storms in the winter of 2014. The roads had been cleared by the time of our visit, but often only by cutting gaps or by dragging the tree aside far enough to admit one car width through the gap.